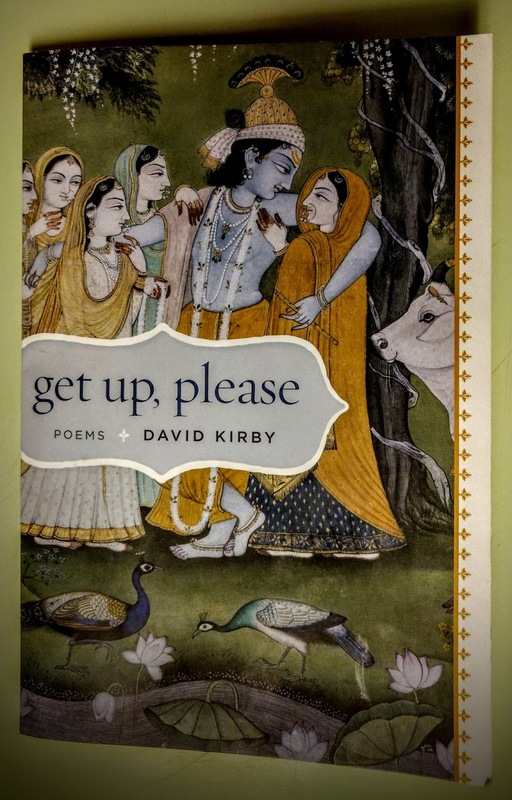 David Kirby’s latest book (of about twenty-five total books) is titled Get Up, Please, and was released by Louisiana State University Press early this year. This new collection of poem will seem familiar to longtime Kirby fans; the long lines, the saw-tooth margins, and the wit sharp enough to slice a cantaloupe are all intact. Form and humor aside, however, some new tones have entered the equation that render the established form quite fresh. Much darker subject matter appears throughout the book, making Get Up, Please, at least in places, a much heavier read than previous Kirby collections. so it’d be okay. Dr. Mary, you were my first crush. Surprisingly, from here the poem becomes a selective history of, and guide for achieving, the blues. Son House, Ma Rainey and W.C. Handy are all touched upon, as the poem eventually culminates in the only place a blues poem can: The Crossroads. Where, in very Hawthornian terms, a music man (or woman, I suppose, but I’ve never heard it attributed to a woman) must choose to forfeit his soul for the ability to move people with his (or her) music. As you wait, lonesome in the place where the “Southern line intersects/the Yazoo & the Mississippi (50-51), Satan comes out of the woods in your direction. He’s carrying “a guitar, and he says ‘Here,/I tuned this for you, take it,’ and you know if you do, you’ll be lost” (63-64). In less capable hands this episode could easily slip into something unredeemable. Something too morose or melancholy for its own good. Not so with Kirby. The rest of line 13 reads, “There’s beauty in everything.” Kirby, it would seem, is able to glean beauty, and inspiration, from a good many places. So instead of getting lost in the darkness, Get Up, Please could just as easily fall into the category of celebration. More specifically, celebration of the arts and artists. And what better way to celebrate art than by writing a poem in which an artist celebrates an artist. The speaker later learns from a hotel owner, one Mrs. Patel, that the gesture “means he thinks the other/is a God. My children do this before they go off/to school in the morning, as though to say, ‘Mummy, you are a god to us’” (18-21). The poem then evolves, as Kirby poems are prone to do, toward poets, in this case Keats, who adds his two cents from beyond the grave, concerning love and adoration. “Get Up, Please” isn’t the only poem in the book that celebrates artists. It’s not even the only poem that allows time for Keats. (Keats even gets his own poem.) Throughout the book — many of his books, in fact — Kirby name-checks actors, musicians, poets, painters and, in a poem that, at least to my mind, serves as kind of an anchor for the whole ordeal, architects. techniques will also change and you won’t be aware of our style. The poem celebrates not only the artists, but the spirit of the artist who want their work to matter in a civic capacity. Responsible art that serves a purpose and takes its place among the other people, places and things that are complicit in shaping a healthy civilization. This passage, and several similar love letters to the arts spread liberally throughout the book, are the lasting impression—celebration in the midst of a world full of potential darkness—I take away from Get Up, Please. David Kirby’s 2016 collection of new poems, Get Up, Please, can be purchased through the Louisiana State University website: http://lsupress.org/books/detail/get-up-please. Read the full text of one of the poems from the book, "Taking It Home To Jerome," which was featured in the New York Times. Mr. Kirby, Congratulations on winning the 2016 Florida Lifetime Achievement Award for Writing. And congratulations on the completion and publication of Get Up, Please, released earlier this year. Thank you for taking the time to answer my questions about your work, generally speaking, and your most recent poetry collection in particular. 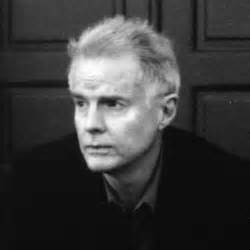 Anthony Fife: In the introduction to The House on Boulevard Street, you write, “All poems are marked by fixed-length stanzas, and a saw-toothed margin, effects intended to help with the sense of what one critic calls in these poems ‘the whole motion of the speaker’s psyche: like a pendulum, it swings in one direction with an enthusiasm or passion, momentarily comes to a point of rest, and then swings back the other way’” (ix). Presumably you are, or at least were, satisfied with this critic’s assessment or you wouldn’t have noted it in your book. The “fixed-length stanzas, and saw-tooth margins” are ever-present in Get Up, Please, but does the pendulum metaphor still work for you? Aside from the physical presence on the page, do you see your most recent collection as a continuation or as a step in different direction? If the former, how and when did this pendulum concept take shape in your psyche and subsequent poetry? Is there any overlap between your pendulum and old school stream of consciousness? In “The Minotaur” you discuss Joyce, “consciousness, existence and other top-shelf literary themes.” Is that what’s at play in many of your poems? Like in “The Juniper Tree” when, though discussing other matters, the speaker can’t help but ponder the JFK assassination plot? Just as with a pendulum, your poems require a difficult balance or, frankly, things can easily fall apart. Though your readers only see the finished, successful product, is it safe to assume that there are many David Kirby poems, poems that will never see the light of day, that have pushed a little too far, and that the pendulum wasn’t able to smoothly or successfully complete its journey? How do you know when, sitting there alone in your solitary writing space, it just isn’t working? When is it time to give a poem up? David Kirby: I wish I had a nickel for every theory I've expounded whenever an interviewer has asked me about those stanzas. But it's like any question anyone asks: why do you use humor, why do you write about your wife so much, why are so many of your poems set it in Europe? (I get asked those three questions constantly.) The answer in every case is the same: people like it when I do that. Mainly, editors like my stanzas, because they publish my poems from time to time and even request them. And I guess readers like them, or enough do, because I do get the occasional fan note. One thing is indisputable, which is that my stanzas make for a kind of poetic signature, don't they? You could tape a poem of mine on a wall like an ophthalmologist's eye chart and not be able to make out the letters, but you'd still know it's a Dave Kirby poem. That said, you'll notice there are some more traditional-looking stanzas in Get Up, Please, and I'm varying my look even more in new poems. Why? Call it evolution, if you like. You'll also notice new tones and moods. Not that I'm letting anything go--I still write the three-pager with the sawtooth margins about something stupid that happened to me. But I'm also writing half-page poems in couplets that are darker in tone. All in all, I'm ruled in both my writing and my teaching by what Jack Gilbert said, which is that poetry is "the art of making urgent values manifest, and of imposing them on the reader. It is the housing of these values in poems so they will exist with maximum pressure, and for the longest time. It is the craft of doing so in structures that are a delight in themselves. And it is the mystery of fashioning poems in such a way that the form and the content are one." Unlike prose, poetry has linguistic content but a graphic aspect as well. And when a reader looks at the graphics of a poem, he or she either does or doesn't say, "Oooo, that looks nice!" By the way, this first question is actually eight questions. Let's move on, shall we? But not before saying, no, I never really give up on a poem. I might put one aside and come back to it in a couple of years, though. I'm the ultimate recycler. AF: You mention Jack Gilbert. You also reference Jack Gilbert in the poem "The Nematode." And I think I remember recently reading another time you mentioned Jack Gilbert, though I don't remember where this might have been. So if I had to phrase it in the form of a question, I guess I'd just ask, "Why?" Though a more sophisticated query might be, "What impact, if any, does Jack Gilbert and his work currently have upon your life or writing?" DK: Two years ago, I was supervising two extraordinary young writers who were working on their honors theses. This was in the spring term, and they would defend in the fall, but I wanted to keep working with them over the summer, so I sent each a copy of Jack Gilbert's Collected Poems, and we read and studied the poems together and chatted about them on Facebook. To my surprise and joy, I found myself getting as much out of the project as the two young women did, maybe more. From him I learned more about nuance, and I also loved the way he often saw beauty amidst the deepest sorrow. The experiment worked so well that I assigned the Collected Poems to an entire workshop the next term, and everybody in that class wrote better as a result. Jack Gilbert is steroids for poetry. AF: So many of your poems feel highly conversational. This can potentially be attributed to many factors — addressing the reader directly, end rhyme not playing much of a role in your work, lengthy sentences and extended ruminations on a given subject. I find that many of my favorite poets are more conversation in tone or style. I also find that I am completely unable to pull it off in my own work. How, then, are you able to balance the conversational tone with higher poetic principles (all those really old Ancient Greek words) that poetry is supposed to embody, while still letting your poems sound like a dude talking to another dude? Well, not a dude talking to another dude, maybe. But sometimes like an authority figure giving a presentation. “The Minotaur,” for one, comes to mind. DK: One word: massage. To sound that casual, I have to spend a lot of time rubbing the knots out of my sentences. Poems are meant to be heard, and I want the poem to look on the page the way it'll sound on the stage. I read the poems aloud to myself over and over until they sound like a human voice--actually, "mutter" might be a better word than "read," but you get the idea. AF: Above I mention your lengthy sentences. “Lengthy” is sometimes maybe even an understatement. They kind of seem to serve as small versions of the long poem of which they are a component. Please discuss for me your lengthy sentences and how they contribute to the spectrum that feeds your overall concepts? In regards to lengthy poems and sentences, the reader can’t grow complacent because you throw in some poems that deviate from the norm. “I Believe You Are Death,” for example. Or “Taking It Home to Jerome.” Both consisting of quatrains. What effect, if any, does the sporadic appearance of quatrains have upon the reader who might be expecting longer stanzas? I’m not just talking about when the poems are being read, but also when being confronted by them for the first time—like turning the page and being surprised. DK: Look again--those poems are in couplets, not quatrains. But surprise is good, no? I try to surprise people within poems, so why not in the whole book? Again, see "evolution" in answer #1, above. The poems are changing gradually, and I'm the guy who flies over that changing poemscape, often startled and occasionally pleased by what he sees. It's a little like Jurassic Park, though no poem of mine has ever tried to eat somebody's face off. AF: “Taking It Home to Jerome,” mentioned above, gave me my biggest laugh of the book. Maybe because on several occasions in my youth I tried, and failed, to execute the trick described therein. What is it about humor that blends so thoroughly and successfully with your style? Have you ever tried applying humor to a subject matter that rejected the attempt? DK: I'm often asked why I'm so damned funny, and that question starts with the assumption that most poets aren't. Perhaps that's because so many poems come out of the sad or angry parts of the brain. I mean, where does poetry start for most people? When you're in middle school, complaining about your stupid boyfriend or girlfriend or your even stupider mom and dad. And I suppose a lot of people continue that way. But I figure, why not use the whole brain? I don't eat with one hand or walk on one foot only, so when I put my brain to work, I figure, use the whole thing. And let me answer your last question, which, like some of the others, addresses frustration and failure, by saying that that doesn't happen very much because I think about a poem a lot before I start writing it. You know how prosecutors only take on cases they can win? Same here, only with poems instead of felons. AF: Your poems really travel. I mean that in a lot of ways, but we’ve already talked about the pendulum, so let’s just focus on travel in the literal sense. The poems visit many places. How (and why) have your own personal travels carved out such a fundamental niche in your work? More specifically, you seem to be fueling long-standing ruminations on self-hood with brand new experiences. That’s just life, I guess, but how does it come so seemingly easily in your work? What about the period in your life before you were a traveler—did that time actually exist and, if so, what did it mean for the poetry? How does travel contribute to the spectrum that feeds your overall concepts? DK: There are at least two answers to this question. The smaller answer and the one that applies more to me personally is that when I'm traveling, I usually have more time to write, and since whatever's going on around me usually works its way into my poems in one way or another, it's not surprising to find Rome or London or Attapulgus, Georgia in those poems. I take my teaching very seriously, so when I'm in Tallahassee, my time is pretty much my students' time. When I travel, those hours are all mine. The bigger answer and the more universal one is that when you travel, your brain fires up and begins to address essential questions: will I make my flight, did I bring my passport, should I have brought a sweater, what language is that guy speaking, is he trying to help me or is he a hustler? But those questions are quickly answered. Meanwhile, here's your brain, just looking for something else to figure out, which is when the ideas and images begin to come in from left field. Travel is good for any creative person, in other words, and not just artists. And I'm not making this up. There's real neuroscience to back up what I'm explaining here in layman's terms. AF: P-Funk master George Clinton, I’m told, lives in Tallahassee. Have you ever seen him out ‘n’ about? Like at the Post Office or something? DK: Ha, ha! Sure. I've seen George in the airport, and I go to his shows. I can't say he and I have ever double-dated, but the thing about Tallahassee is that it's small and we take our arts seriously here. Among my generation, most of the writers and painters and musicians know each other and support each other's art and go to each other's shows and openings. AF: You are really generous about allowing other artists a dominant place in many of your poems. Not just passing references to people and their creations, but they are actually named as inspirations for the poem. For every Grecian urn poem in which the poet gives him or herself over to outward inspiration, there are many, many other poems that are fairly self-centered, refusing to look outward. This is not always a negative thing, perhaps, but when confronted with your poems—which quite often name painting, buildings, songs or other poems—it provides a stark contrast. Explain, please, what it is about poetry that many people apply it so personally without much regard for the greater world, yet others, like yourself, are able to be so outwardly inclusive? What do you suppose, if any, is the psychological effect this inwardness and/or outwardness has for the reader? DK: That's a really good question, one that could generate a doctoral dissertation, maybe one titled Should I Stay or Should I Go? Interiors and Exteriors in Poetry Across the Ages. All I know is that I was the youngest in my family and therefore always trying to figure out the world around me. I didn't have much interest in my own thoughts, and I can guarantee you that no one else did. So I looked at the world as a journalist might, compiling evidence and connecting one thing to another. Of course, sooner or later, all poems head inward, and that's when the things one sees become thoughts that go beyond those things yet keep them in the foreground. Isn't all poetry inward? I guess mine goes back and forth from exterior to interior in a cycle, especially in the longer poems. And while there are some poets who are almost photographic in their approach to the world, others prefer to stay indoors. Both are perfectly legitimate ways to write. Temperamentally, though, I'm going to spend a lot of time running around in the streets before I head indoors. That's what Dante and Shakespeare and Whitman did, and we're still reading them. AF: You often work in the ars poetic tradition. Poems like “You’ve Built Your Own Mosque,” for example. Why is it important for you to write poems about what it means to be a poet and how poems are made and experienced? Do you find that your understanding of your craft perceptibly grows once you’ve crafted a poem of this kind? DK: Another great question, because sometimes I feel like writing nothing but poems on poetry. What could be better than to celebrate what you love best? Then again, I've never felt that the poetic mind is a limited one. I feel as though the poetic mind observes, selects, orders, and revises until it produces a unified whole. That's what poets do, but it's also what scientists and filmmakers and cooks do. So over the years, I don't think I've discovered how poets operate so much as I've discovered how humans operate when they're functioning in the most successful way and also the most gratifying way possible, which amounts to the same thing. AF: Get Up, Please is another Louisiana University Press book. Could you please discuss your relationship with the press and how it came about? You’re a native of that region, right? DK: If you look at my long list of books, you'll see I've published with a dozen or more presses. I've had great experiences with every one of them. But one shops around, of course, and eventually I landed at LSU. Yes, I lived the first twenty-one years of my life in Baton Rouge and got a BA from Louisiana State University, but I'm with LSU Press for one reason: because the best people are there. My editor, my designer, the business manager, the marketing people: they're friends as well as poetry lovers, and I hope I work with them forever. AF: Any new projects, Louisiana UP or otherwise, on the horizon? DK: This is an unusually productive period for me right now. Without thinking too far ahead, I want to write the best poems I can this summer and publish them in decent magazines and compile another book manuscript in, oh, a year, say. I'm writing a longish piece on the Beach Boys for The Wall Street Journal. I need to write a couple of letters to help people get tenure and promotion at other schools. I need to write a blurb--no, wait, two blurbs. Mainly, I need to get my syllabi done. When the fall comes, I'll go from 90% poetry / 10% everything else to 90% teaching / 10% poetry. But I look forward to that ratio shift: I'm still dreaming, but so many of my dreams have come true that I see this period in my life as a chance to help others fulfill their dreams. The other day on Facebook, someone said she needed more time to write, so she wasn't putting as much time into her teaching, unlike colleagues who seemed "wedded to the job." Okay for her, but nobody's more wedded to the job than I am. And every time I walk into the classroom, I renew my vows. AF: Do you think, if he has ever read them, Little Richard enjoyed your poems? DK: There's only one book that Richard enjoys, and that's the Bible. I have to say, though, the man's got good taste. That's some book, the Bible. AF: Finally, the name of this blog is Poetry Matter. Can you please explain why poetry matters? DK: There's so much music in my little town that I can't go to every performance. So I made a rule for myself, which is Always Do Something Good. So if I can't go to the symphony, that's okay as long as I go to the opera, say. It would not be Something Good if I stayed home and watched Forensic Files re-runs, so if I can't go to the symphony, I'll go to the opera or the alt-country show or the blues festival instead. So poetry doesn't matter to a lot of people, and that's okay, though I hope they're doing Something Good as an alternative: reading a novel, learning another language, volunteering at the homeless shelter. Then there are people like me, who became pale and anemic if they can't write and teach poetry. Like the roof over my head and the shoes on my feet, I need poetry every day.